2018 The Astrophysical Journal Supplement Series 239 25. Scheme showing all the derivations developed in this paper. 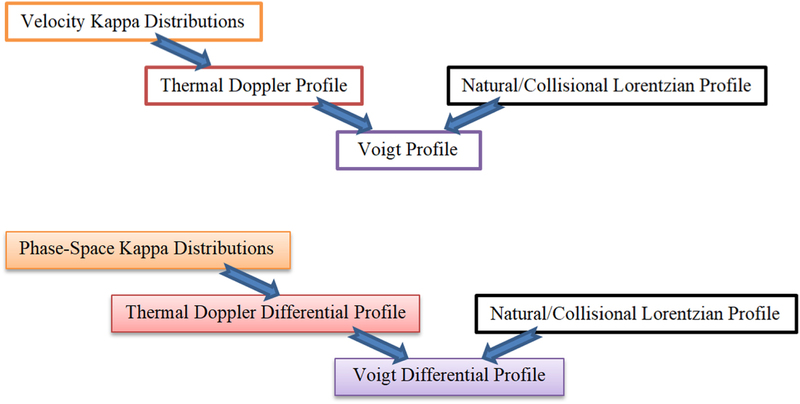 The thermal Doppler profiles are derived from the respective formulation of kappa distributions, while their convolutions with the Lorentzian profile lead to the Voigt profiles. 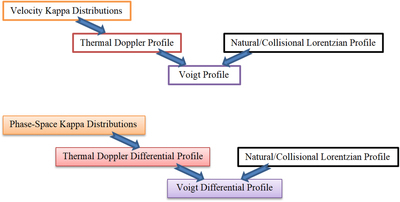 In the presence of a non-zero potential, kappa distributions describe the particle’s phase-space, namely, the velocity distributions are characterized by a positional dependence that is inherited in the spectral differential profiles.